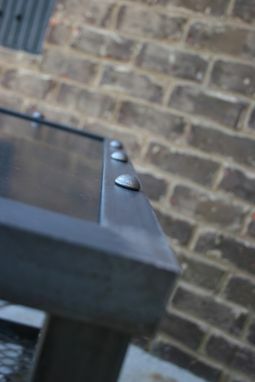 Solid steel top with 1/4" steel angle iron for the frame. 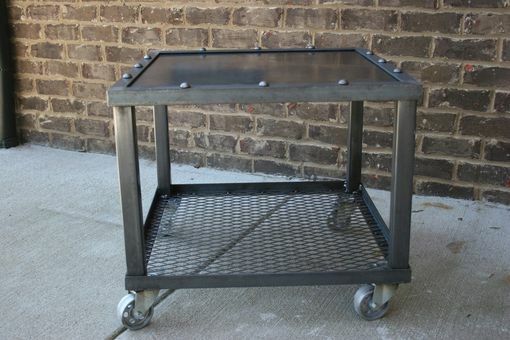 There are 12 rivets on this beautiful piece of furniture, with the grid shelf on the bottom this piece will fit most home decors. 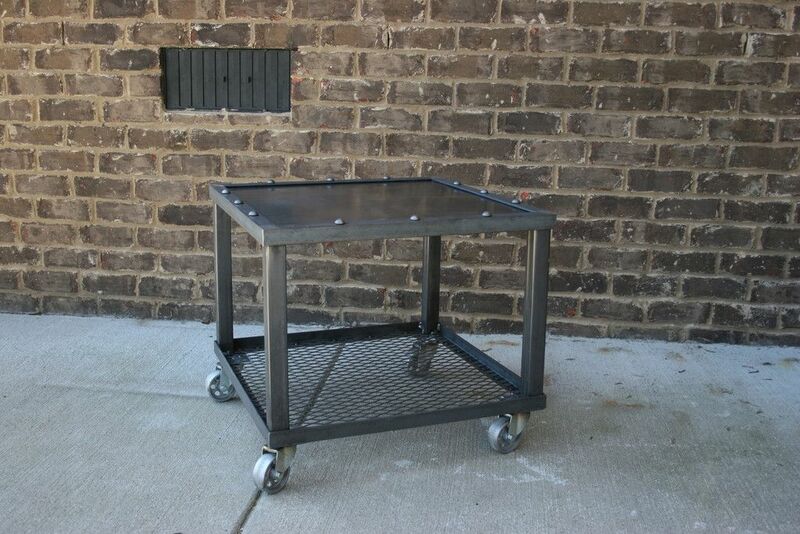 End table includes cast iron 3" casters. Can be modified to fit your decor if needed. 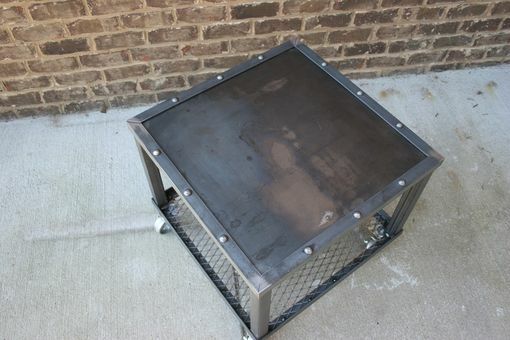 Check out the rest of the Grid Iron series of furniture, and there is more to come.